[German]My colleague Ed Bott has published on September 30, 2016, the article You have one month left to buy a Windows 7 PC, suggesting, that OEMs are reaching the end-of-sales deadline for Windows 7 machines on November 1, 2016. That’s no more true. Beginning Nov. 1, Microsoft’s largest partners, the so-called royalty OEMs like Dell and HP and Lenovo, will no longer be able to build and sell new PCs running any version of Windows except Windows 10. Well, Ed was right – Microsoft has originally planned the end-of-sales deadline for Windows 7 machines on November 1, 2016. Ed Bott also mentioned, that there are still many sources to buy or ship a Windows 7 PC (see his article You have one month left to buy a Windows 7 PC for details). Existing inventory – OEMs are allowed to sell their stock with Windows 7 machines. Downgrade rights – Users who are buying a Windows 10 Pro system obtains a downgrade right to Windows 7 Professional or Windows 8.1 Pro. But wait: The end-of-sales deadline for Windows 7 is October 2017! After I published a German article, a blog reader contacted me via e-mail and forwarded a statement from Fujitsu concerning the end-of-sales deadline for Windows 7. The Fujitsu statement (see the text below) is in German. 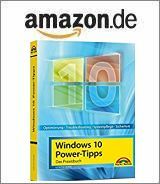 With date August 31, 2016, Fujitsu informing German customers about an “Important update regarding changing from Windows 7 to Windows 10”. Here is the major topic (freely translated). Microsoft has announced that licensing of pre-installed Windows 7 will end at 10/31/2016. Due to a high demand, Microsoft decided, to prolong the End-of-Life (EOL) date for Windows 7 systems for an additional year to October 2017. Also support for Windows 7 will be available until 2020. So, it seems that OEMs are able to ship systems with Windows 7 SP 1 Professional till October 31, 2017. So I guess also other OEMs are able to license Windows 7 Professional on their machines till October 2017. The whole Fujitsu statement in German is shown below. Update November 3, 2016: Due to many articles at US internet sites I contacted Fujitsu. A speaker told me, the statement shown below is still true – the End-of-Life (EOL) date for Windows 7 systems is October 2017.
im Juli haben wir Sie darüber informiert, dass Microsoft die Lizensierung von bei Auslieferung vorinstalliertem Windows 7 zum 31.10.2016 nicht mehr unterstützen wird. Auf Grund vielfacher Rückmeldungen zu diesem Thema hat sich Microsoft nun entschieden, diesen End-of-Life (EOL)-Termin für Windows 7 Systeme um ein Jahr zu verschieben – auf Oktober 2017. Auch der Support-Zeitraum für Windows 7 wird entsprechend bis 2020 verlängert. Wofür Sie sich hier auch entscheiden, das Fujitsu Portfolio bietet Ihnen immer das optimal passende Gerät für Ihre Anforderung. Wir beraten Sie gerne in der Entscheidung, welche Lösung die für Sie Sinnvollste ist. This entry was posted in Windows and tagged End of sales, OEM, Windows 7. Bookmark the permalink.